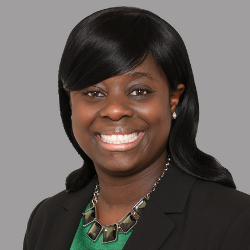 Nana Mireku, MD is board certified in allergy, asthma and immunology by the American Board of Allergy and Immunology. Dr. Mireku is also board certified by the American Board of Pediatrics. She graduated from Michigan State University College of Human Medicine in 2003. As an allergy sufferer herself and being the parent of a food-allergic child, she is passionate about providing relief for her allergic patients. She believes in empowering her patients and their families through education of their diseases.